Maryland International Raceway is located in Budds Creek, Maryland, in St. Mary’s County. About one mile from the Wicomico River, MDIR’s elevation is only 80′! That’s why so many records are made at our facility! MDIR’s seating capacity is 10,000 people, with plenty of parking to accommodate. There are also “Family” Grandstand Sections, sponsored by Pepsi, where no alcohol is permitted! MDIR has its very own J34 Jet Dryer with incredible track drying capabilities! This unit minimizes track drying time and also heats up the racing surface. There’s also a DTN Weather Center located in the Race Control. This system gives us real-time Doppler radar, and updates every 5 minutes – allowing us to make more informative decisions on event status if there is inclement weather. MDIR also has a playground located behind the Hot Rodz Diner (well out of the way of vehicle traffic). The entire playground is made of super strong plastic – so kids, there’s no chance of splinters! Two Emergency Track Trucks are always on site ready for use. These trucks have been provided by Purvis Ford in Fredericksburg, VA. One of the trucks is for Fire and Rescue Service, outfitted with a nitrogen-fired 80 gallon foam unit. It is capable of extinguishing a car that is fully engulfed in flames in a matter of moments. Our other truck is outfitted with special equipment for track clean-up. All of this along with mechanical sweepers, heavy-duty tractors for brooming and blowing and our own J34 Jet Dryer gives us an almost fully automated operation for track clean-up, with most oil downs lasting only about 10-15 minutes! Located directly in front of the burnout area are the Dial-In Boards. These popular units display a drivers dial-in before he even begins his burnout! They help ensure complete accuracy in eliminations. Maryland International Raceway was first built in 1966, by Joe LaRoque. The very first opening event in July, 1966, was called the NASCAR Top Fuel Championships. This Top Fuel event was won by Ronnie Still in a Hemi Small Block Chevy. The raceway’s name at that time was St. Mary’s Drag-O-Way. Joe retained ownership of the raceway for just a little over a year. In 1967, Bill Cairns (a car dealership owner) bought the facility. He renamed the track to Budds Creek Raceway. Bill was a St. Mary’s County resident himself. The operation remained under his control until 1972. The track was then purchased by Tod Mack and Larry Clayton. 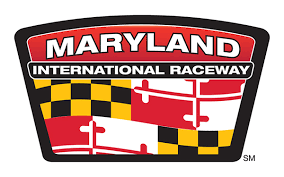 The name was again changed to the present Maryland International Raceway. (Tod actually worked for the NASCAR Drag Division, and helped design it, when LaRoque built the track) Their creative thinking and ingenuity for the raceway built a foundation for the sport. The first U.S. Pro Stock Open, back in 1975, was a hit! The turnout for the event was so much more than they expected, and they actually ran out of tickets! Among some of the innumerable things that Tod and Larry did at the raceway was at one time, there were two Christmas trees on the track, and four lanes. The timing system was set up to register 1st, 2nd, 3rd, and 4th place. Four cars actually competed, and it was an eye opening show! Tod also developed the very first digital timing system, named DigiTime. When they took over the track, the part of the existing burnout box and the pad was nothing but a large canyon, literally where the tower stands now. This canyon was about 90′ deep. They decided to fill that incredible span with gravel to make more room around the starting line. If you’ve ever been to MDIR, you may have noticed that right behind the winner’s circle near the starting line, there is a large canyon. And what a project that was – to fill that area with gravel that is about 90′ deep, hundreds of feet wide, and a couple hundred feet long. Ownership changed hands yet again to Royce and Linda Miller. Leased by Miller in late 1989, the name was unchanged. Royce was actually the MDIR Super Pro Track Champion in 1984 too. The track remained NHRA until 1991. Then in the opening of the 1992 season, MDIR took a new leap to the International Hot Rod Association. With all of his racing and business experience (he also owns commercial real estate in Manassas, VA that he leases), he was the right man for the job. The lease agreement finally ended when Miller purchased the track in February, 1998. Maryland International Raceway has gone through a number of facelifts – and there are currently plans for additional improvements underway. The track’s appearance has changed dramatically over the years, and a lot of work has been done to make it the facility that it is today. There was once even talk about changing the direction of the track during Tod and Larry’s ownership by making the starting line where the shutdown area is. In any event, the track has changed for the best, with credibility lending to everyone in it’s past. Many of the choices made, both good and bad, have come together to create a wonderful and friendly atmosphere while delivering intense and exciting drag racing! Maryland International Raceway has been in a number of headlines. Featuring special events, community efforts, features on the Junior Dragster Program, and on and on. MDIR has also appeared on national programs such as Dateline, ESPN, Speed Channel, TNN, and many of the Washington Metropolitan Television News Networks!